Natalie, our intern in psychology at Jiwa Damai is an officer in the German army and a great athletic woman. 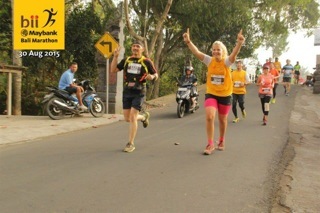 She ran the famous 21 km Marathon in Bali with over 5000 participants. Next week she will also go to Java to participate in the Mount Bromo Nationale park marathon. Congratulations Natalie!